Phurba is a ritual Tibetan dagger which kills the evil spirits. 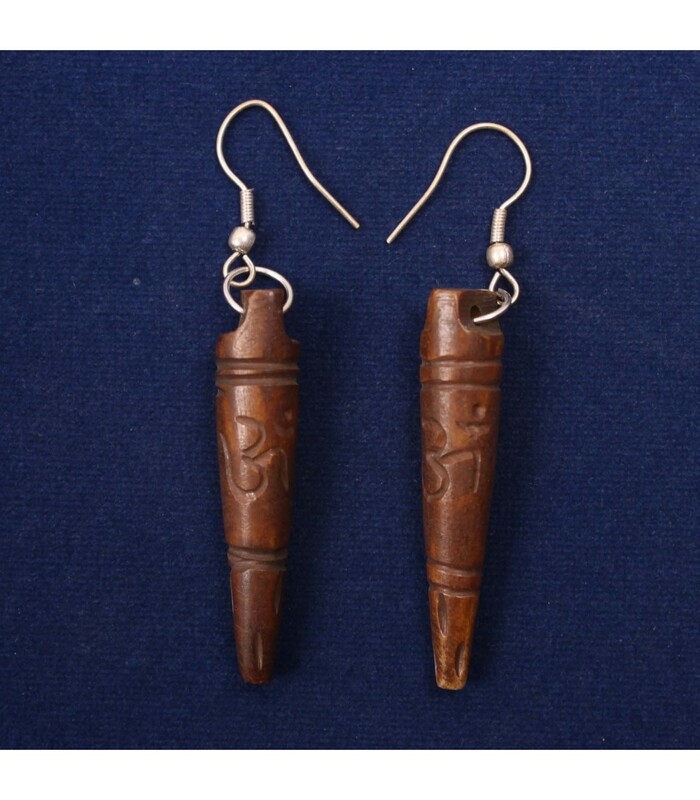 The earring is hand-made into a form of Tibetan dagger and Sanskrit Om symbol is carved on it. As each piece is hand crafted slight variation can be seen in pairs.